A few weeks ago the most bizarre yet intriguing invite from Hendrick's Gin landed in my inbox inviting me to Hendrick's Perilous Laboratory for the Absorbment of Natural Teaching (or P.L.A.N.T. for short) and promised me an evening that was to be focused around making harminous music with cucumbers (and no, it wasn't an innuendo) at the RHS Garden Show. It was quite possibly the most peculiar invitation I've ever received in my six years of running this blog, so of course my curiosity got the better of me and I rather enthusiastically accepted the invite not really knowing what to expect. Also, it's worth noting that I almost never turn down anything that involves the promise of gin, especially if it's Hendrick's! Upon entering the blooming and beautiful RHS Garden Show, we were invited over to the Hendrick's pop-up laboratory, decorated in the most eclectic and bizarre fashion with plants and vintage oddities dotted around in vintage style cabinets. The extremely charismatic Hendrick's Laboratorians gathered a mass of people over to their work space to begin their musical experiment. Quite literally making music with cucumbers! 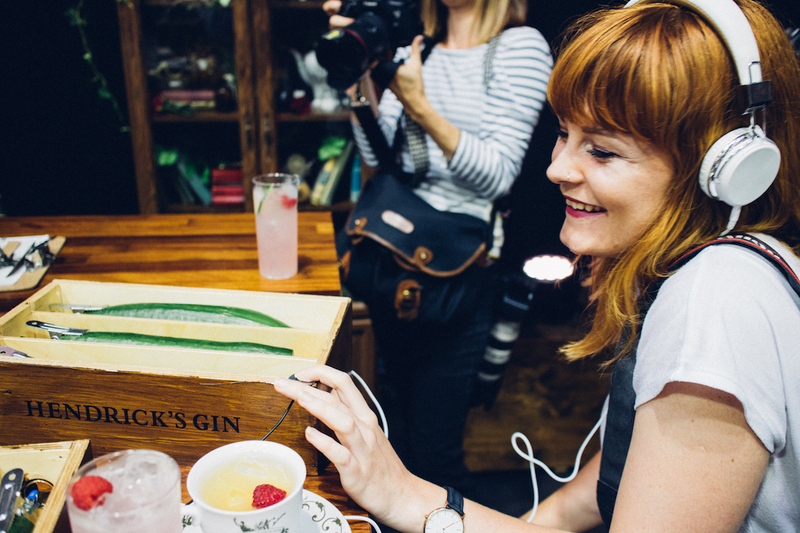 After curating the perfect musical piece with your fellow cucumber connoisseurs, you are aptly rewarded with a Hendrick's gin & tonic, which is certainly a touch! After all of the merry musical excitement, we chowed down on some delicious vegan delights from Rupert's Street. They're a travelling food truck that specialises in sustainable and healthy food for events and I just could not resist the sound of their tofu tikka, which didn't disappoint! We spent the rest of our time coo-ing over the luscious, green house plants that adorned the RHS Garden Show with our Hendrick's concoctions in hand. I was in my absolute element that evening as I was treated to a few of my favourite things in life: gin, plants and some banging vegan food! 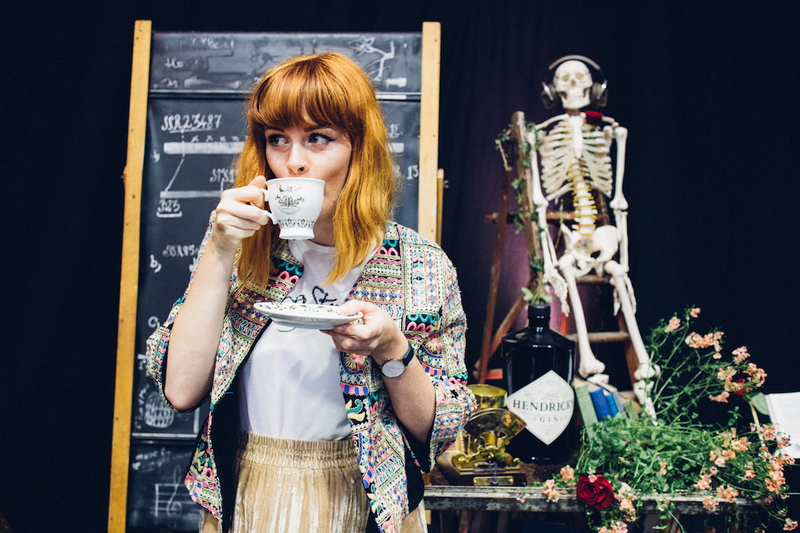 The Perilous Laboratory for the Absorbment of Natural Teaching will be going on tour across the festival circuit this summer. You can catch them at Lost Village, Edinburgh Festival and Standon Calling, where you'll be able to experience the magic of making music with cucumbers yourself! You can find more information regarding the P.L.A.N.T. tour here. Omg this event sounds amazing! I love Hendricks gin it's one of the best ones. I have just discovered gin this month at the grand old age of 37. Never tried Hendricks so this is definitely one to try this week! I don't drink anymore but this looks like a great place to hang out. Ok, I agree - this is one of the most bizarrely wonderful blogging events that I have heard of...and I LOVE it! Plus yes Hendricks is yum and that Tofu Tikka looks lush. I will have to catch it on its tour! Oh I would love to see the PLANT tour it looks so much fun! I can never refuse any offers involving gin too haha. This sounds like a fabulous evening, I don't think I would have turned it down either!